We had a great time in Port Matilda this weekend. 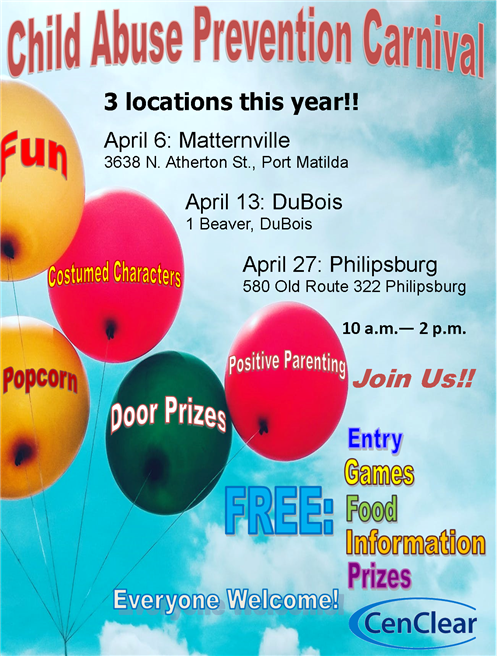 Don't worry if you missed our Child Abuse Prevention Carnival there you can attend April 13 in DuBois or April 27 in Philipsburg. 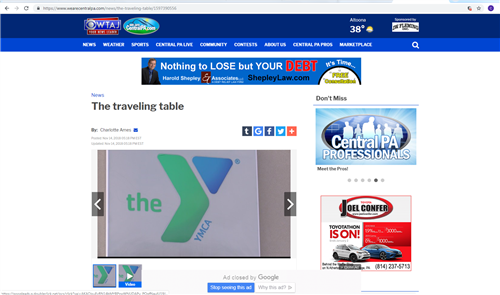 Check out the story about our carnival that was on the news!! 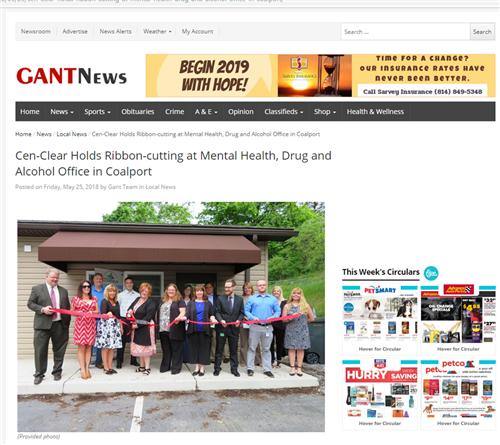 CenClear is excited to offer Walk-In Mental Health and and Drug and Alcohol Services in our Clearfield and Punxsutawney Offices. Walk-In to our Clearfield office Mondays or Thursday from 8 a.m. to 12 p.m. or to our Punxsutawney office for drug and alcohol services Mondays from 8 a.m. to 11 a.m. or for mental health services Wednesdays from 8 a.m. to 11 a.m. Click here or call us for more information. If you are in need of fingerprinting to obtain clearances CenClear can help. 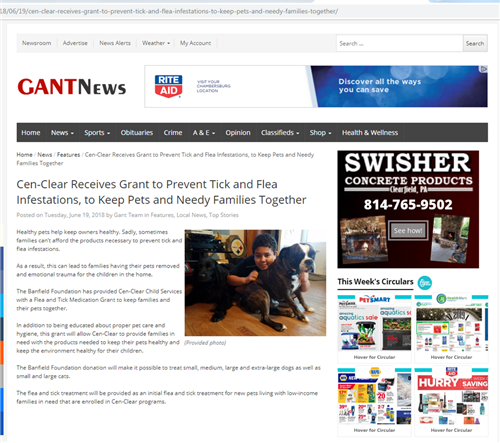 First call IdentoGO to set up an appointment at 1-844-321-2101, then visit CenClear's Bigler office to have it done. CenClear is pleased to announce it is now offering a Medication Assisted Treatment Program to help those battling addiction. 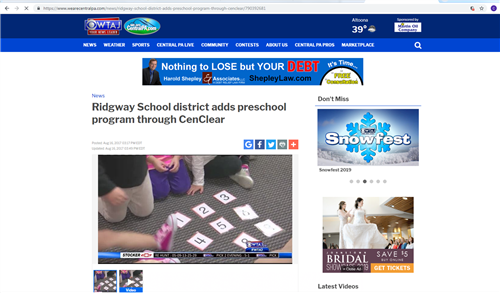 CenClear is an organization dedicated to leading our community with superior quality and innovative services to all consumers by providing physical, social, emotional, educational and leadership development. 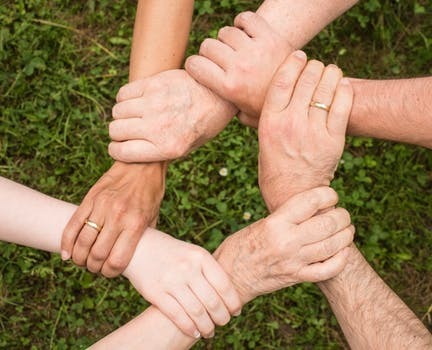 Belief in the importance that parents are the prime educators of children has led CenClear to adopt the philosophy of "Reaching Children Through Families. 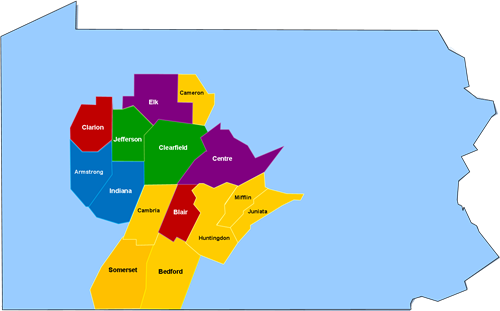 Headquartered in Bigler, PA, CenClear is dedicated to providing early childhood, preschool, mental health and drug and alcohol services to children, teens, adults, and families from locations in Blair, Cambria, Cameron, Centre, Clearfield, Elk, Clarion, and Jefferson Counties as well as some select programs in adjoining counties. 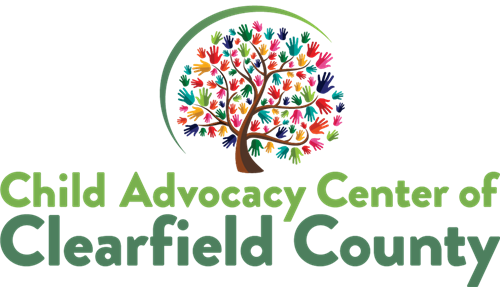 We serve more than 6,000 adults, adolescents and children annually in a variety of programs and services. 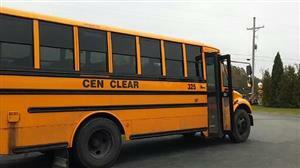 CenClear Services was established in 1980 as a non-profit corporation. 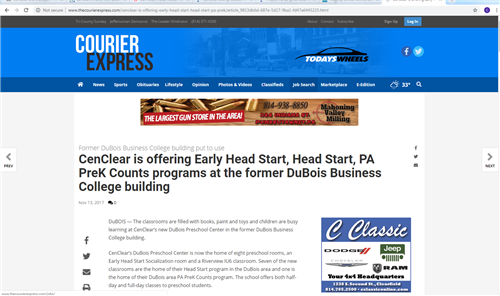 Head Start was the original program and the program on which CenClear's comprehensive service delivery system is modeled. 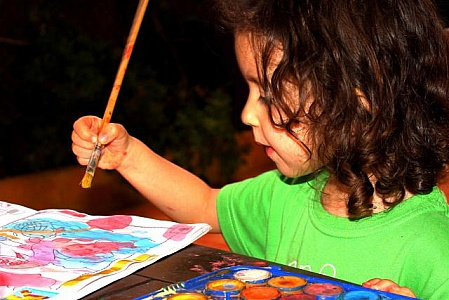 Through the provision of Head Start Services, it was soon realized that there were other issues that the Head Start program alone could not address. 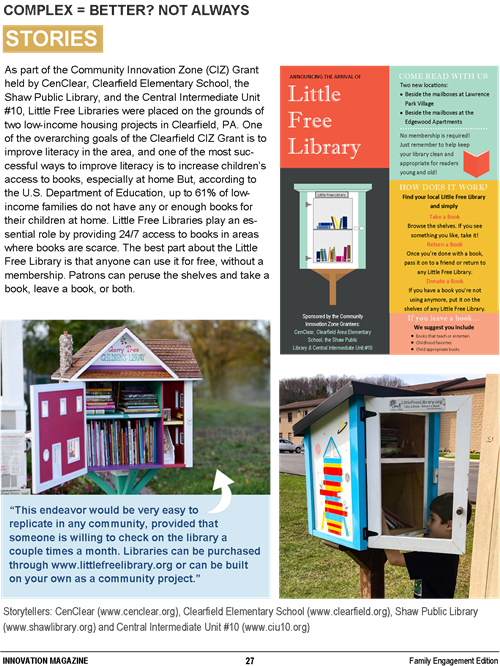 Where the community was lacking in a service, CenClear Services conceptualized and designed a program to fill the need. Early on it was discovered that accessible mental health services for children, particularly under the age of five, were limited or nonexistent. 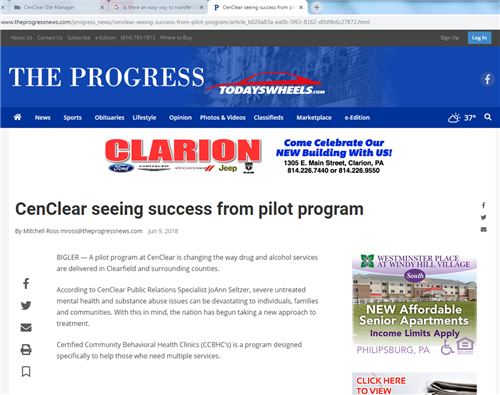 As a result of this and in keeping with CenClear's philosophy and mission, CenClear Services submitted an application to provide Family-Based Mental Health (FBMH) Services and was awarded the contract by Clearfield/Jefferson MH/MR. In 1995, CenClear began providing FBMH services. In 1996 the CenClear began providing Behavioral Health Rehabilitation Services (BHRS) to children and families in local communities. 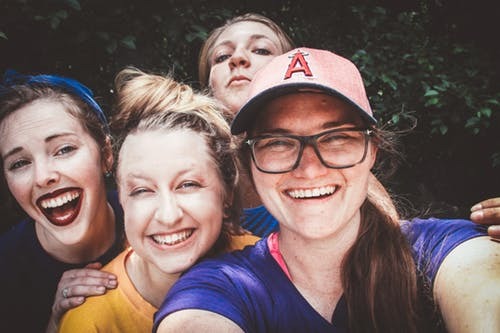 With the addition of CenClear's Mental Health Outpatient Program three years later, CenClear was now able to offer a seamless array of mental health and psychiatric services to area children, adults, and families. 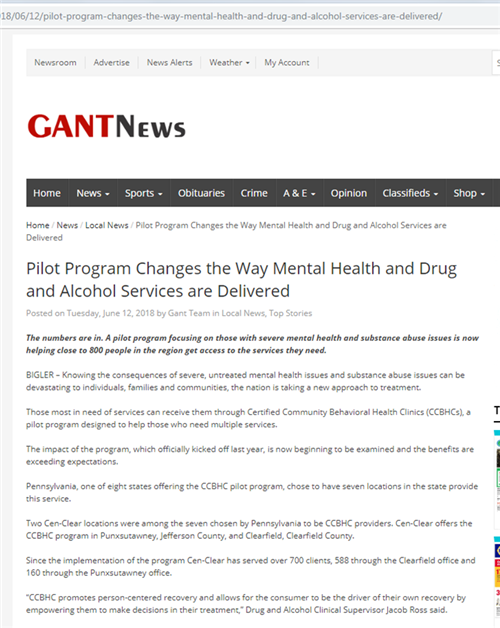 Since that time, the mental health programs have continued to grow and have added the Maintaining Strengths Program, Drug and Alcohol Services, Peer Specialist Services, Blended Case Management, and Community and School Based Mental Health. The CenClear Mental Health Division now services children, adults, and families in various settings throughout the service area. In Crisis? There is Help. In another county in this region? Click here.